Congratulations! 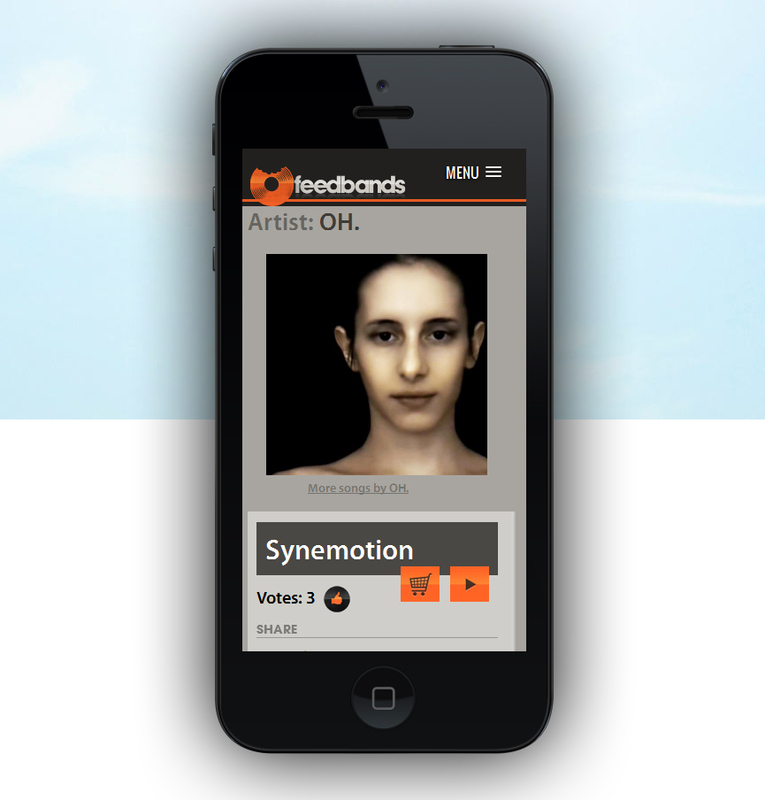 Your song, “Synemotion”, is now streaming on feedbands. We are incredibly selective in whom we approve, but we liked your song. What’s next: The more people who vote on your song, the more it will get our attention for a vinyl pressing, so tell your fans to download our app for iPhone or Android and vote on your song! “Feedbands is a crowd-sourced vinyl record company. Musicians submit their music and your vote helps determine who gets pressed to vinyl. Each month, subscribers to our service receive a first pressing of a vinyl record from an independent artist.